This collection came to the Library of Virginia as two accessions in 1999 and 2000. The bulk of the collection is a gift of Commonwealth Atlantic Property, 66 Canal Center Plaza, Suite 710, Alexandria, Va. 22314, March 1999 (Accession 36460). The Minute books are on indefinite loan at The Library of Virginia. At an earlier date, photographs, broadsides, and a few miscellaneous items of the R.F.&P. Collection had been donated to the Science Museum of Virginia along with other R.F.&P. artifacts. In July 2000 the Science Museum transferred those predominantly visual records to the Library of Virginia (Accession 37441). Since all items of Accession 37441 are integral pats of the R.F.&P. company records, they have been interfiled with Accession 36460, and one Accession number, 36460, is used to identify and describe the entire collection. Richmond, Fredericksburg, and Potomac Railroad, Records, 1834-1997. Accession 36460. Business records collection, The Library of Virginia, Richmond, VA. 23219. 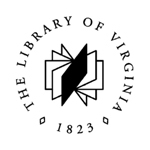 The collection also comprises plans and drawings for about 500 architectural and engineering projects, which will be described separately by the Library of Virginia's architectural records archivist. Vol. 1-192 of the State Government Publication, Cases Decided in the Supreme Court of Appeals of Virginia, commonly known as Virginia Reports, covering the years 1790-1952, were transferred to the Library of Virginia's Government Document Department, where they are currently being processed and integrated into the existing holdings (Call-No. : K62 V78 [Also Fiche 42]). The Richmond, Fredericksburg, and Potomac Railroad (R.F.&P. R.R.) was incorporated by an Act of the General Assembly of Virginia on 25 February 1834. It was at the time the sixth railroad to be chartered in Virginia. The company's purpose was to provide rail service from Richmond to the Potomac River near Washington, D.C. In 1835 the General Assembly authorized the subscription to two fifths of the Company stock. The State was proportionally represented with two Directors out of five on the Company's Board. Throughout a large part of the company's history the State of Virginia guarded its interest in the R.F.&P. by prohibiting other railroads to parallel the route of the R.F.&P. In 1836 the tracks from Richmond to South Anna were completed, in 1837 the extension to Fredericksburg. Service for the Post Office began in 1838, increasing the line's traffic. In 1842 construction of the line was finished up to Aquia Creek, eliminating the use of a stage coach. From Aquia Creek the Washington & Fredericksburg Steamboat Co. provided the transportation to Washington. The R.F.&P. R.R. bought half of the Steamer Co.'s stock in 1845. With the goal of an eventual all-rail connection between Richmond and Washington in mind, the Alexandria & Fredericksburg R.R. Co was incorporated in 1851. With the completion of its line to Quantico in 1872, a continuous rail connection from NC to Baltimore had been established. The Potomac R.R. Co. lines were completed the same year and provided connecting service between the R.F.&P. R.R. and the A.&F. R.R. Co. For a few years, the new all-rail line was used alternating with the route that included the Potomac Steamboat Co., the successor of the Washington & Fredericksburg Steamboat Co., until in 1877 the R.F.&P. terminated its steamboat contract and turned its shares back over to that Company. During the Civil War, the R.F.&P. R.R. operated largely in the service of the Confederate Army. The damage inflicted to equipment, tracks, bridges and buildings was considerable. In the mid 1880's the company prospered again. 1887 the Richmond Byrd St. Station was opened to accommodate the increased traffic volume of the R.F.&P.R.R. Co. and the Richmond and Petersburg R.R. Co. (R.&P. R.R. Co.). In 1888 a timely freight service for fresh fruit and vegetables was inaugurated, a business that should grow fast and steadily well into the 20th century. The same year authorization for a branch line was granted to these two railroad companies, so the growing volume of freight could be directed away from the city. The R.F.&P. R.R., traditionally a short line railroad, had always relied on agreements with other railroad lines providing service south of Richmond and north of Washington, and in 1900, after several smaller lines had been grouped together, those railroads were: Seaboard Air Line R.Y. (from Portsmouth and southeast), Atlantic Coast Line R.R. (south of Richmond) and the Washington Southern R.Y. Co. (from Quantico to Washington, controlled by the Pennsylvania R.R. Co.). In 1901, Seaboard Air Line R.Y., Atlantic Coast Line R.R., the Pennsylvania R.R., the Southern R.Y. Co., the Chesapeake and Ohio R.Y. Co., as well as the Baltimore and Ohio R.Y. Co. agreed to form the Richmond-Washington Co. That Company acquired the entire stock of the Washington Southern R.Y. Co. and the majority of R.F.&P. 's voting stock. The six partner would all be treated equally and have the same rights in the dealings with the R.F.&P. The R.F.&P. and Washington Southern R.Y. Co. came under common management at his point, and operated jointly as the "Richmond-Washington Line." For the next two decades the R.F.&P. kept expanding and modernizing at a rapid pace. The Richmond Terminal R.Y. Co. was chartered in 1916 with the purpose of constructing and operating a passenger terminal, and in 1919 Broad St. passenger station (architect: John Russell Pope) was completed. R.F.&P. and Atlantic Coast Line R.R. both owned equal amounts of the Richmond Terminal Co.'s shares. Starting in December 1917, the R.F.&P. R.R. and the Washington Southern R.Y. Co. came under Federal Control for 26 months, and played an important role in the transportation of military personnel and equipment. Three years later, in 1920, the Washington Southern R.Y. Co., which had been managed jointly with the R.F.&P. since 1901, was completely merged into the latter. A large freight terminal was added to the Acca Freight Yards in 1924, tracks were improved and cars and locomotives modernized. The growing competition of automobiles on shorter distances prompted the R.F.&P. in 1928 to halt its less and less efficient steam train service between Richmond and Ashland and to replace it with a passenger bus service. Thus the Suburban Motor Coach Co. was incorporated the same year, the R.F.&P. R.R. being the main shareholder. Soon passenger bus travel was introduced between Washington and various places south of Alexandria, and the R.F.&P. Transportation Co. was chartered in 1929. It was fully owned by the R.F.&P. R.R. and the Suburban Motor Coach Co. merged into the R.F.&P. Transportation Co. in March of the same year. In August 1929, the R.F.&P. Transportation Co. and the competing Richmond-Washington Motor Coaches (owned by the Greyhound Co.) merged to form the Richmond-Greyhound Lines, Inc. Service was soon expanded to reach from Washington to Norfolk. During the Depression years, the R.F.&P. struggled with reduced passenger and freight service revenues, challenges which the company tried to meet by reducing it's passenger fares as well as attempting to join the developing market for truck service business. Starting in 1931 the R.F.&P. Transportation Co. experimented with truck freight service between Richmond and Washington, but discontinued the operation due to lack of profits in 1939. Traffic of passengers and freight reached a high during WWII, and considerable investments were made to modernize engines and rail yards. After 1945 passenger travel decreased steadily, and Amtrak finally serviced that part of the operation in 1970. With the foundation of the Richmond Holding Company in 1957 the R.F.&P. had started to pursue another business avenue. Although the R.F.&P. had always been involved in Real Estate deals, and was the sole stockholder of the Richmond Land Corp. (inc. 1901), it had done so only for the purpose of securing and developing land for the expansion of its rail service. Now the Real Estate and Land Development Business should become an enterprise in its own right. Other important development of the 1960's and 1970's were the opening of Bryan Park Terminal (1962), the purchase and subsequent development of the Dahlgreen Railroad line and adjacent properties (1964), and the move to the new Main Office building at Acca Yard (1976). At this point, the Richmond Terminal R.Y. Co. was dissolved, and Broad Street Station - no longer in usage - was sold to the Commonwealth of Virginia. By the early 1980's ownership of the Richmond-Washington Co. and with it of the R.F.&P. had changed: now the Commonwealth of Virginia, Seaboard Coast Line Railroad, Southern Railway, and Chessie System Railroad all shared the capital stock. R.F.&P. 's most important rail freight connections at that time were Seaboard Coast Line Railroad and Conrail. Despite continued modernization and collaboration with other carriers, earnings of the real estate branch outgrew those of the freight sector by the mid 1980's. Those changed realities let to a major company restructuring in 1988 with the founding of the R.F.&P. Corporation, a publicly owned, Virginia-based holding company that controlled the R.F.&P. R.R. and R.F.&P. Properties, a real estate investment, leasing and development company. Already before the reorganization, the CSX Corporation (formed through a merger of Chessie System and Seabord Coastline Industries in 1980), which owned the majority of the Richmond-Washington Co., and thus controlled the R.F.&P. Co., had been interested merging the R.F.&P.R.R. Co. entirely into its own enterprise. At this time the Commonwealth of Virginia, through the Virginia Retirement System (VRS) still held a 20% interest in the R.F.&P. After one failed merger attempt in early 1990, CSX and the VRS, which owned about 27 % of R.F.&P. Corporation stock by now, came to the following agreement in August of 1991: the VRS, through its subsidiary Systems Holdings, acquired 99 percent of the R.F.&P. Corporation's shares. It then sold the R.F.&P. R.R. to CSX Transportation, which fully merged it into its own railway line. This transaction factually ended the 157 year history of the R.F.&P. R.R. The remaining part of the R.F.&P. Corporation, the Real Estate business came under the control of the VRS, and was subsequently sold to Commonwealth Atlantic Properties. Alexandria & Fredericksburg Railway Co. Incorporated 1851 as Alexandria & Fredericksburg Road Co.; taken over by the Pennsylvania R.R. in 1870. Merged with the Alexandria & Washington R.Y. Co. to form the Washington Southern R.Y. Co. in 1890. Alexandria & Washington Railway Co.
Inc. 1854. Like the Alexandria & Fredericksburg R.Y. Co., it became a subsidiary of the Pennsylvania R.R. Co. Merged with the Alexandria & Fredericksburg R.Y. Co. to form the Washington Southern R.Y. Co. in 1890. Inc. 1920 as a successor of Fruit Growers Express; shares were owned by several railroads in need of refrigerated cars transporting fruit and vegetables from the South to the North. R.F.&P. initially owned 4.5% the shares; it sold its 3 % remaining shares in 1982. Lewis Ginter Land and Improvement Co.
Inc. Feb. 15, 1901. In 1957 the entire stock was purchased by the Richmond Holding Corporation (sole stockholder was the R.F.&P. R.R), who took over the assets and liquidated the company. Inc. 1867; connected the R.F.&P. and the A&F R.Y. Co. at Quantico since 1872. Acquired by Washington Southern R.Y. Co. in 1904; transferred all rights and properties upon dissolution 1917 to Washington Southern R.Y. Co.
Inc. 1852; successor of Washington & Fredericksburg Steamboat Co. (see below); R.F.&P. R.R., which had bought half the shares of Potomac Steamboat Company's predecessor, the Washington and Fredericksburg Steamboat Co., ended its participation in the steamboat company in 1872, when its all-rail line to Washington was completed. Inc. 1867 as Pullman's Palace Car Co., name changed to the above in 1899. In the 1940's the Pullman Company was jointly purchased by a group of Railroads, who used its cars. In the 1960's the R.F.&P. is shown to have owned .57% of its stock. Chartered by the R.F.&P. R.R. in 1929; merged with Suburban Motor Coach Co. in March 1929 and with Richmond-Washington Motor Coaches (owned by The Greyhound Corp.) later that year; the operating name was changed to Richmond-Greyhound Lines, of which the R.F.&P. owned 49% and the Greyhound Co. 51%. The bus line provided service from Richmond to Washington. The R.F.&P. Transportation Co. also offered truck freight service in the 1930's but was dissolved in 1939. Founded in 1926 as Richmond-Washington Motor Coaches, Inc.; bought by the Greyhound Corp. In 1929, 49 % of the shares were sold to R.F.&.P. R.R. and the bus operations of R.F.&P. Transportation Co. and Richmond-Washington Motor Coaches were merged and the name was changed to the above. Founded Feb. 1957 as a subsidiary of the R.F.&P. R.R., who was the sole Stockholder; took over the Lewis Ginter Land and Improvement Co. (see above) the same year. In 1975 it merged into Richmond Land Corp. along with the South Washington Land Corp. Founded in 1915; sole stockholder of this real estate and development company was R.F.&P. 1975 both Richmond Holding Corp. and South Washington Land Corp. were merged into the Richmond Land Corp.
Chartered in 1916 to build the new Broad Street Passenger Station in Richmond. The company was jointly owned by Atlantic Coast Line R.R. and the R.F.&P R.R. It was liquidated in 1976 after R.F.&P. Transportation Dept. had moved to Acca Yard, the Main Office had been relocated, and the passenger travel was serviced by Amtrak at a different station. Upon liquidation, the terminal company sold the Broad Street Station Building to the State of Virginia. Chartered 1 Mar. 1929 as Union Terminal Corporation; sole stockholders were Richmond Greyhound Lines and Atlantic Greyhound Lines. Changed its name to the above in 1941. Inc. 1901 through an agreement of Seaboard Air Line R.Y., Atlantic Coast Line R.R., the Southern R.Y. Co., the Pennsylvania R.R., the Chesapeake and Ohio R.Y. Co., as well as the Baltimore and Ohio R.Y. Co. The company acquired the entire stock of the Washington Southern R.Y. Co. and the majority of R.F.&P. 's voting stock. The six partner would all be treated equally and have the same rights in the dealings with the R.F.&P. The R.F.&P. R.R. and Washington Southern R.Y. Co. came under common management at his point, and operated jointly as the "Richmond-Washington Line." In the 1980's CXS Corp. owned the majority of the company's stock. Seaboard Air Line Railroad Co.
Inc. as Seaboard Railway Co. 1944, its name was changed to the above in 1945. It was supposed to carry out the plan of reorganization of Seaboard Air Line Railway Co.; merged 1967 with Atlantic Coast Line Railroad to form Seaboard Coast Line Railroad. Inc. 1957 as a real estate company, with more then 80% of the shares in the hands of the R.F.&P. R.R. Was merged into the Richmond Land Corporation in 1975 along with the Richmond Holding Corporation. Inc. 5 July 1928, wholly owned by the R.F.&P. ; merged into R.F.&P. Transportation Co. on 4 Jan. 1929. Jointly owned by a large group of railroads, who all shared usage of the trailer cars. The R.F.&P. R.R. became a member in 1959. Virginia and Carolina Railroad Co.
Inc. 1882, with the goal to build a railroad line from Richmond, Virginia to the Virginia-North Carolina State Line in Mecklenburg County. Washington and Fredericksburg Steamboat Co.
Inc. 1840 in Maryland. Starting 1842, it provided service from Washington to Aquia Creek and later Quantico, and at times, Baltimore; in 1845, the R.F.&P. bought half interest the interest, and assumed control of its operations. Predecessor of Potomac Steamboat Co. (see above). Inc. 1890 through consolidation of A.&F. R.Y. and A.&W. R.Y. and controlled at this time by the Pennsylvania R.R. ; in 1901 the Richmond-Washington Co. bought the entire stock of the Washington Southern, and it came under common management with R.F.&P. R.R., it was fully absorbed into the R.F.&P. R.R. in 1920. The records of the R.F.&P. R.R., 1834-1997, are organized into 31 series. Series I-X relate to record groups of the R.F.&P. R.R. itself, series XI-XXXI describe the records of R.F.&P. subsidiaries, both fully and partially owned, and of companies, of which the R.F.&P. owned a smaller interest at some point during its 157 year history, or with which it was otherwise affiliated. These include: Alexandria & Fredericksburg R.Y. Co., Alexandria & Washington R.Y. Co., Fruit Growers Express Co., Lewis Ginter Land and Improvement Co., Potomac R.R. Co., Potomac Steamboat Co., The Pullman Co., R.F.&P. Transportation Co., Richmond-Greyhound Lines, Richmond Holding Corporation, Richmond Land Corporation, Richmond Terminal R.Y. Co., Seaboard Air Line R.R. Co., South Washington Land Corporation, Suburban Motor Coach Co., Trailer Train Co., Union Terminal Corporation, Washington and Fredericksburg Steamboat Co., Virginia and Carolina R.R. Co., and the Washington Southern R.Y. Co. Also included are some records for the Richmond-Washington Co., which at times held the majority of R.F.&P. voting stock. In some cases information for subsidiary companies can be found as integral part of the R.F.&P. files. The main record types found in this collection are minute books and minute files (the complete run of R.F.&P. Minute books, from 1834-1981 is especially noteworthy); legal files, like charters, bylaws, agreements, cases, contracts and deeds, and real estate files; as well as a substantial amount of financial files, like annual reports, audits, balances, check registers, daybooks, journals, ledgers, property records, security records, and tax records.. To a lesser extent records of operating, transportation, and technical departments, some newsletters and corporate histories, as well as photographs are included. There are only a few singular correspondence files and letter books. The arrangement of series attempts to reflect the company's internal structure by following the organization of main divisions in its outline and by keeping the original order of documents wherever it was still present, or where it could be reconstructed due to internal filing numbers, file labeling, etc. Headings for files or filing units were also kept as found, whenever present. The arrangement within each series and sub series will be specified in the Series Description below. Miscellaneous files are placed at the end of each respective series or sub series. The predominant description level is at the folder and volume level. Exceptions are the photographs and broadsides, which are described at the item level. While the more then 300 photographs make up their own record group, the broadsides are inventoried under the Transportation and Public Relations, Advertising, and Marketing Departments. (For an item listing of the photographs, see Appendix B). The collection includes records for 21 additional companies. Some are wholly owned subsidiaries, others were merged into R.F. &P. R.R., or are predecessor companies of those who merged with the R.F.&P. Yet another group of companies was affiliated with the R.F.&P. through a partial ownership of interest. The amount of records for those associated companied varies greatly. For some there is only a minute book or a few annual reports or security records. For others, the holdings are more extensive and a variety of record groups is present. The companies that have a larger share of records in this collection are the Richmond Land Corp., the Richmond Terminal R.Y. Co., and the Washington Southern R.Y. Co. The collection is housed in 347 boxes (including one oversize), and two map cabinet drawers. 177 volumes are shelved. Whenever size permitted, volumes were housed in boxes for better protection (353 volumes). Volumes that are placed directly on the shelves are interfiled with the boxes, following the order of the container listing (see below). Oversize items are filed in one oversize box (No. 344) as well as in two map cabinet drawers. There are a total of 39 oversize folders, containing various numbers of oversize items. Oversize items, which were part of a regular sized filing unit, were removed from their respective folders. In their place, removal notices list the item(s) separated and the oversize folder number to which they have been moved. For location and content list of oversize folders see Appendix A. Several items of the collection were in need of restoration, which was performed by Etherington Conservation Center, either in the in-house lab, or in the North Carolina main office. The conservation work necessary consisted mainly of repairs of broken, torn and glued pages, damaged bindings, the cleaning of moldy volumes, and the preparation custom boxes to house fragile volumes, and those without binding. This series consists of correspondence, minutes, and miscellaneous records. Correspondence includes one 1863 letter from President P.V. Daniel to the C.S.A Secretary of War, James A. Seddon. Minutes contain Board of Directors Minute Books, which run continuously from 1834-1981; one Pension Board Minute Book, documenting the start of a new employee benefit program, which offered pension coverage and insurance for illness, accidents and death. The Board of Directors Minute Files cover the years 1881, 1900-1906 and 1944-1974. The files 1900-1906 contain some Washington Southern R.Y. Co, minutes as well. There are minutes, notes, letters, resolutions, income statements and other financial data. Some request for monetary help of relatives of railroad employees who died in occupational accidents are included in those early files as well. Files for 1944-1974 include minutes, correspondence, annual report drafts, charts, maps, financial date, etc. Stockholders Annual Meeting Minute files, 1864, 1897-1973 (bulk 1897-1905, 1944-1973) include some Washington Southern R.Y. Co. files as well. They consist of minutes, annual report information, and statements. In some cases there are only lists of stockholders and powers of attorney. Printed meeting reports are included in the Annual Reports in the Finance Department Series III.B.2. Miscellaneous Records, 1901-1905 contain the volume History of the R.F.&P. Railroad, by W.H. White, President, 1911, a compilation addressed to the Commonwealth of Virginia, that deals with the relationship between the State of Virginia and the R.F.&P. There is also a Journal of Events, 1901-1905 with only 4 pages of recording entered, and files containing Authorities for the destruction of records, 1940-1987. This series is made up of five sub series: Charters and Bylaws; Cases, Claims, and Dockets; Contracts; Real Estate Files; and Miscellaneous Files. In addition to a copy of the 1834 Charter, this collection contains several amended versions (1924, 1949), as well as various Bylaws (1947-1983). The case files, 1981-1992, concern cases in state and federal courts, and contain briefs, appendices, petitions, pleadings, trial transcripts, motions, and statements of facts. They are organized by court and within chronologically. The entries in the two Claim Books, 1888-1889 concern compensation requests by customers, predominantly for loss or damage of freight, entered on a daily basis. The dockets, 1920-1938, issued by and addressed to the Interstate Commerce Commission predominantly deal with property valuation issues. Included is one correspondence file, 1968. Contracts, 1867-1969, include contract files, 1871-1969 (agreements, merger agreements, contracts, deeds, mortgages, statements, certified extracts of minutes, trusts; in many cases amendments, additions, and revisions - organized according to internal numbering system) and mixed volumes, 1867-1950 that are composed of a mixed set of legal documents, as well as Credit Bond Files, n.d., 1916-1942. This sub series gives a good impression of the business relationships, clients, and partners of the R.F.&P. The following sub series, the Real Estate Files, n.d., 1929-1986, includes copies and drafts of agreements, deeds, correspondence, plats and plans, releases, etc. for the R.F.&P., as well as for its subsidiaries Richmond Holding Corporation and Richmond Land Corporation. This portion is arranged according to an internal file numbering system. Also included is an undated Property Book with plans of properties and abstracted deeds. For financial aspects of real estate owned, see Series III.B.10. The Miscellaneous Files, 1869-1942, are comprised of Legal Opinions, 1869-1871, Regulations to Govern the Destruction of Records, 1914, and Releases, 1935, 1941-1942. Financial Files are organized into 4 sub series: Treasurer's Files, Accounting and Bookkeeping, Securities, and Taxes. The financial records make up the bulk of this collection. Treasurer's files include information on R.F.&P. securities owned, the company's 1941 Re-Funding, as well as financial aspects of the company's transition to CXS, and financial statements prepared for the Board. The Accounting and Bookkeeping section is divided into 11 categories: Accounts, n.d., ca. 1834-1978 contains information on expenses for various projects; Annual Reports, 1836-1995, consists of reports to the stockholders, with the exception of one report from 1839 addressed to the Board of Public Works (which held two fifth of the stock at that time) and one report for Richmond and Petersburg R.R. Co. for the year 1861 - there are volumes for individual years, multiple years, volumes that are bound with proceedings, statement, mortgages, etc., as well as reports for R.F.&P. and the Washington Southern R.Y. combined, for the years the two companies were managed together, 1901-1920; Auditor's reports are included for the years 1908-1965; Balances, 1834-1916, include Balance Sheets and Financial Analysis, as well as General Balance Sheets and Financial Analysis and one Trial Balance volume; Check Registers, 1907-1941; Day Books, 1860-1905; Income and Expenses, 1926-1972; Journals, 1834-1960; Ledgers, 1905-1960; and Vouchers, document the ongoing financial dealings and activities of the R.F.&P. Journals record costs of road repair depot and train expenses, bills payable, petty accounts, and interest on bonds, certificates of debt, and dividends paid; ledgers record assets, investments, debits, liabilities, surplus, credits, profit & loss, income, etc. The section on Properties, ca. 1973-1992, throws light on the type of properties owned and the many financial aspects involved, including valuation, betterment and depreciation, by recording and analyzing specific types of financial and technical data. An exception is the Inventory of Property, 1873, which includes plans and drawings, in addition to listings of various other properties. The sub-series Securities, 1834-1957, contains a large number of certificates, registers, and transfer books, for Bonds, 1866-1939, Certificates of Debt, 1844-1901, Dividends, 1861-1957, and Stocks, 1834-1975. They provide a good insight into financial status and ownership of the company at different points in its history. Tax records cover the period 1914-1992. Until an agreement with the Commonwealth of Virginia in 1912, the R.F.&P. had a tax exempt status. Federal Tax Returns include for the most part copies of returns, instructions, schedules, income statements, worksheets, receipts, correspondence, balance sheets, etc. For some years, records of wholly owned subsidiaries, like Richmond Land Corp. and Washington Southern R.Y. Co. are included as well. State Tax Returns and Rolling Stock Information include copies of returns, schedules, and in some cases statement of property value and taxes extended made by the State Corporation Commission of Virginia. Included are also two filing units, 1980-1992 that deal with Real Estate and Property tax questions, and miscellaneous tax subject files, 1914-1973. The records of the General Superintendent's office, E.T.D. Myers at the time, who whould be the R.F.&P. President from 1889 to 1905, consist of one letter book, recording outgoing correspondence from 4 May 1882-20 Nov. 1882. There are a few more miscellaneous items in this series: three broadsides, one depicting directions for the operation of the heating Systems of the private car Berwick, n.d., one Resolution in Regard to Free Travel, 1858, and a reward poster relating to the 1894 Mail Train Robbery near Aquia Creek. Of note is also a transportation order furnished by the Office of the Chief Quartermaster of the Army of the James, dated June 10, 1865. Also included are a baggage tag, ticket stubs, and one volume, 1912-1929 with alphabetized entries of religious groups, educational and non-profit organizations, listing individual members of each group; possibly to record free or discounted travel. This series contains records relating to engineering, technology, and research. Of note are one volume of drawings and specifications of sections for bridge construction, 1903-1907, two record books, 1889-1890, for the construction of the James River Branch. Those volumes also include data for the James River Bridge. The collection also comprises plans and drawings for about 500 architectural and engineering projects, which will have been separated from the main body of the collection and which will be described separately by the Library of Virginia's architectural records archivist. Included are a brochure for overnight service form Richmond to Baltimore, n.d., and a brochure about the R.F.&P. R.R. in WWII, 1945, as well as a train image and line logo stamped onto paper, n.d., and copies of the R.F.&P. 's 150th Anniversary Poster, 1984. There is one letter from 1997, regarding the design of model trains. Old Colony Club, Permanent Membership certificate for Stuart C. Leake, 11 June 1923. The publications series includes corporate histories and examples of two newsletters published by the R.F.&P. R.R. in the mid-1930s and from 1985 until the buy-out of the Railroad in 1991. One of the histories was compiled by a R.F.&P. traffic manager, John B. Mordecai, A Brief History of the Richmond, Fredericksburg & Potomac Railroad, 1940. The 98 page volume reproduces images; the other history is a manuscript, ca. 1963 by Garnett Laidlaw Eskew: Bridge Line, The Life and Times of the Richmond, Fredericksburg & Potomac Railroad, 1834-1963. The illustrated newsletters are the R.F.&P. Bulletin, Vol. III, 1-3, 1934-1935, and the Data Link, Vol. 1 through Vol. 7. Both are directed to employees, and contain company as well as staff news. Includes Photographs from 5 binders / albums as well as loose photographs of presidents and localities: 1. Broad Street Station Pictures; 2. Steam Locomotive Pictures, 3. No Title [Bryan Park Terminal Construction and Misc. Cars and Railroad Scenes]; 4. R.F.&P. Presidents, 5. Aquia Creek [Construction]; 6. Loose photographs: localities, presidents; 7. Negatives of Presidents; and 8. List of Presidents and other officers, departments and personnel. All photographs, except the Aquia Creek Construction Scenes, are described on an item-level in Appendix B. There are 58 Broad Street Station photographs, from about 1919 to the 1960's. Many photographs are undated, but most dates can be narrowed down by comparison with dated images, and by evidence such as the styles of cars and clothing. Images include exterior and aerial views from different angles, as well as waiting rooms, dining rooms, a Christmas scene, and a ticket counter. The 36 images of the binder Steam Locomotive pictures also comprise rail yard pictures, and several passenger cars, as well as the Cannonball Wreck at Dunlop Station, 1903. The Steam engines depicted are from a line of engines acquired in the late 1930's and early 1940's. The freight train engines were named after Confederate Generals, the passenger train engines after Governors. Most engines depicted date from the 1920's through 1940's. The third binder consist of two parts: Bryan Park Terminal construction scenes, 196-, which make up 33 of the 43 images; as well as 10 images of railroad cars, and buses, ca. 1928-1980. Interior and exterior views are depicted. The fourth binder includes photographs of the R.F.&P. presidents from Frank Corvo, Jr. to John A. Lancaster. There is no image for Edmund Robinson, and the images of the first presidents from John A. Lancaster to Joseph P. Briton are produced from paintings. Also included is a brief introductory note to the album (1 leaf); each portrait is accompanied by information on the dates of service for the R.F.&P. ; images are mostly undated; it can be assumed that the original pictures date at some point during the individual's presidency. Binder 5 includes 150 photographs with construction scenes from Aquia Creek, 1945-1946. Photos were originally glued to paper backing, which was highly acidic; some photos were already loose; others were removed where possible; [some cardboard is still on back of pages; several hard to remove photographs are still glued to pages; further conservation may not be necessary since photographs will be digitized and reproduced]. Loose photographs include three aerial views of Arlington, Virginia, and smaller size prints of images of R.F.&P. Presidents. Negatives and contact prints of the presidential images are kept in one folder, as is a list of R.F.&P. Presidents, Officers, and Departments, which was filed with the photographs. Finally there are two oversize photographs, an aerial view and a front and side view of Broad Street Station, ca. 1920, the latter of which is signed by John Russell Pope, architect of Broad Street Station. The Library contains 17 volumes and 14 booklets of legal and technical content, and several publications of the Association of American Railroads, including an 1968 color comic strip, Rails Across America. Vol. 1-196 of the State Government Publication, Virginia Reports, or Cases Decided in the Supreme Court of Appeals of Virginia, covering the years 1790-1952, have been transferred to the Library of Virginia's Government Document Department, where they are currently being processed and integrated into the existing collecting (Call No. : K62 V78 [Also Fiche 42]). This series contains legal and financial documents, as well as one map. Included are Charters and Bylaws and Deed of Trust 1864-1870, 1872, and about 50 Deeds for property, dating 1863-1875, as well as Plat book illustrating the Real Estate and Right of Way from South End of Long Bridge to Quantico, 1870-1872. This well preserved volume has hand drawn plans (pencil, ink and watercolor on linen) and information and deeds for the various land transactions. The financial files include two letter books of the Treasury Dept., 1872-1888 and information on Property owned, and the cost of the Right of Way obtained. An undated map, filed under Miscellaneous, shows the A.&F. R.Y. and the connecting lines north and south. Furthermore, a list of stockholders, 1889, and stock certificates, 1870-1889 and a stock transfer register, 1870-1889, give information on the ownership of the railway company from the time of its takeover by the Pennsylvanian R.R. Co. until right before its merger with the Alexandria & Washington R.R. Co. in 1890. Only a register of stock certificates, 1887, a stock ledger, 1887-1890, and a stock transfer journal, 1887 are included. Since the R.F.&P. R.R. owned a small share of the Fruit Growers Express Co., it kept this group of annual reports in its file. The only year missing from the 1920-1966 run is 1956. The Minute book includes a copy of the Act of Incorporation, 1901, Bylaws, and Board of Directors and Stockholders Minutes from 1939 to 1957, when the Company was liquidated and absorbed by the Richmond Holding Corporation. The Minute book includes Board of Directors Minutes from 1869 until 1917, when the Company was dissolved and fully merged into the Washington Southern R.Y. Co. Also included is a stock transfer register for the years 1872-1874. Included are Dividend Obligations, 1870-1889 (?) and a Stock Transfer Register, 1845-1871, 1889. The entries for 1845 show the purchase of 50% of shares by the R.F.&P. R.F.&P. R.R. owned a small share of the Pullman Co., which explains why some Annual Reports, 1960-1966 are part of its files. The Minute book for this R.F.&P. subsidiary includes Articles of Association and the Charter; the minutes for Board of Directors and Stockholders cover the full ten years of its existence. Also included are Stock Certificates, 1929, and one resolution, 1932. The Minute book covers the years 1932-1960 and includes Articles of Incorporation; the minute files for Board of Directors and Stockholders date 1951-1959; in addition there is a notice and some correspondence for 1968-1971, as well as Bylaws, 1935. The financial files, 1958-1968 concern mostly the stock exchange and proposed merger of Richmond Greyhound Lines into the Greyhound Corp., which sought to obtain the shares held by R.F. &P in 1958; there are statements, reports, and correspondence; also of Greyhound Corp. and Richmond Union Terminal Corp. They are arranged in alphabetical order. Also contains a brief history, 1926-1942, starting with the foundation of predecessor Richmond-Washington Motor Coaches. The Minute book, 1957-1975 for this R.F.&P. subsidiary includes articles of incorporation, and minutes of the organization meeting, board of Directors and stockholders meetings; minute files cover 1961-1970 and include copies of meeting minutes, excerpts of minutes, and some financial information; Financial files, 1963-1976 contain check stubs and a real estate tax file. Files in each sub series are arranged alphabetically and chronologically within each record type. Some legal real estate files for this company can be found in Series II.D. Included are minutes, 1915-1970, and financial records, 1915-1987, for this R.F.&P. subsidiary. Some legal real estate files for this company can be found in Series II.D. Included is a minute book, that covers the years 1915-1954; the minute files include copies of meeting minutes, excerpts of meetings and some financial data and cover the years, 1924-1970, but there are no minutes included for 1955-1961. The accounting and bookkeeping records, 1916-1974 include a balance, cashbooks, check stubs, journals and ledgers. There is one volume of stock certificates, 1915-1916, 1975, and real estate tax information for the years 1974-1987. Files in each sub series are arranged alphabetically and chronologically within each record type. Included are Minutes, Legal Records, and Financial Records. The set of two minute books, 1916-1975 includes Articles of Incorporation and Board of Directors and Stockholders meeting minutes; the files, 1961-1970 include balance sheets, resolution and excerpts from minutes. Legal documents, 1922-1958 consist of Articles of Association, Charter and Bylaws (in chronological order), and miscellaneous contracts, 1922-1958. Financial records, 1916-1975, contain some accounting and bookkeeping records such as annual reports, journals and ledgers; stock certificates and first mortgage 5% gold bonds, as well as state tax returns for 1935-1950. Files in each sub series are arranged alphabetically and chronologically within each record type. The Minute Book, 21 Mar. 1929-18 May 1960, includes Board of Directors and Stockholders Meeting minutes, Certificate of Incorporation and Bylaws. This series comprises one legal volume and financial files. The legal volume contains by-laws and certificate of incorporation, 5 Sept. 1901; the six party agreement that led to the company's founding, 31 July 1901; and a Collateral Trust Mortgage and Agreement, 1 June 1903. Financial files, 1901-1971 consist of annual reports, a stock analysis for 1950-1959, an evaluation of the company's condition, 1914; as well as an organizational chart outlining ownerships and financial interests of the Richmond-Washington Company and its subsidiaries. Files in each sub series are arranged alphabetically and chronologically within each record type. Included is one document, the Application No. 4 of Seaboard Air Line Railroad Company under Section 20 a of the Interstate Commerce Act, 11/19/1947. Included are minutes, 1957-1975, articles of incorporation and bylaws, 1957, 1968, and well as financial files, 1965-1968, consisting of check stubs and real estate tax information for 1971-1972. Files in each sub series are arranged alphabetically and chronologically within each record type. This series includes one Minute book for Board of Directors and Stockholders Meetings, 1928-1929 with Articles of Association and Bylaws; it covers the time from the company's incorporation to its merger into the R.F.&P. Transportation Co. in 1929. Included are annual reports from 1959 to 1966. Includes two stock certificate books, dating from 1882-1886, that document purchase of stocks by R.F.&P. president Joseph P. Brinton, and Moncure Robinson, who was the company's president from 1840-1847. Includes securities for this predecessor of the Potomac Steamboat Co. (see above): Dividend warrants in the value of $100 and $500, issued in 1848, a stock certificate book, 1840-1855, and a stock transfer register, 1845-1871. This series consists of minutes, legal files, financial files, and miscellaneous files. The two volumes of Board of Directors and Stockholders Meeting Minutes, 1890-1920 cover the company's thirty years of existence, the Minutes of the Potomac Yard Advisory Board, 1909-1925 continue for 5 years after the Washington Southern R.Y. Co. was merged completely into the R.F.&P., which took over its place on the Board. The Advisory Board was made up of all five railroad companies using Potomac Yard. In addition to the Washington Southern R.Y. Co., those were the Baltimore & Ohio R.R. Co., the Chesapeake & Ohio R.Y. Co., the Philadelphia, Baltimore & Washington R.R. Co. and the Southern R.Y. Co. Legal records, 1871-1917 include copies of charter, bylaws and mortgages, an indexed volume of contracts and agreements, as well as about 150 deeds. Also included are pre-1890 deeds that were made by one of the company's predecessors, the Alexandria & Fredericksburg R.Y. Co. (see above). Financial files, 1890-1921 include Treasurer's correspondence, accounting and bookkeeping records, and securities. The correspondence is made up of one letter book, 1890-1904; the accounting and bookkeeping records contain annual reports, balances, betterments, check registers, journals, and ledgers. The securities sub series includes stock and bonds ledgers, transfers and certificates as well as 4% and 5% gold and mortgage bonds. The miscellaneous file contains a brief corporate history until 1907. Files in each sub series are arranged alphabetically and chronologically within each record type.